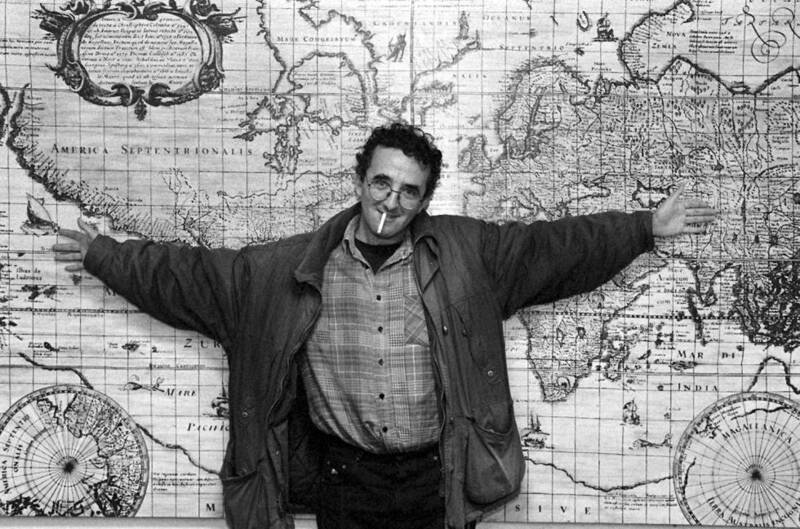 Welcome to Roberto Bolaño Week at SSMT. It’s gonna be an interesting trip. He’s a genius. But it’s a strange dreamlike world that he creates – not unlike Haruki Murakami. In many ways, this is as standard as a story gets. Man and woman fall in and out of love. They reconnect. It doesn’t really take. Man wonders what went wrong, what live means. We’ve been down this road before. Ah, but how many tales of romantic woe take the form of surrealist detective fiction? Not that many. This story twists and turns very quickly. The plot moves so quickly it’s almost detached from any real emotion. But at the same time, we get the narrator engaging in the most wrenching of soul searching. He’s feeling all the feelings. That contrast is fascinating and wholly original. And that’s quite a trick on Bolaño’s part. That night he puts some clothes in a bag, goes to the station and takes a train to the city where X used to live. The trip, from one side of Spain to the other, lasts all night. Unable to sleep, he thinks about all the things he could have done but didn’t do, all the things he could have given X, but didn’t. He also thinks: If I had died, X wouldn’t be coming all the way across Spain in the other direction. Then he thinks: And that is precisely why I am the one who is still alive. For the first time, during that sleepless trip, he sees X’s true worth; he feels love for her again, and, for the last time, halfheartedly, he despises himself. who has written this article? I’m doing an essay about Bolano and would like to include several points made here in it, thanks. Just credit the Short Story Magic Tricks website, and thanks for your interest!